Evans Cycles have revisited Sir Ridley Scott’s iconic 1973 TV ad to demonstrate the hill-climbing power of the electric bike to today’s audience. 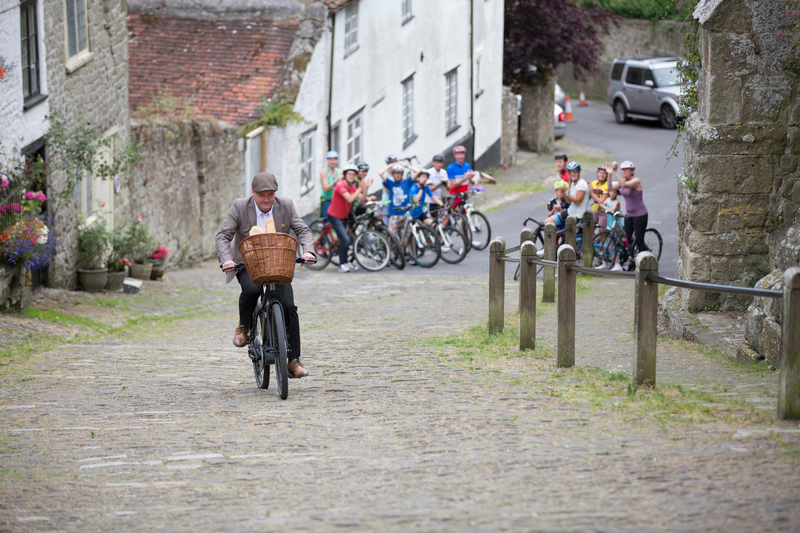 Carl Barlow, now a retired firefighter, starred as the young baker’s boy struggling to push his bread-laden bike up the famous cobbled street to ‘the top of the world’ 44 years ago. 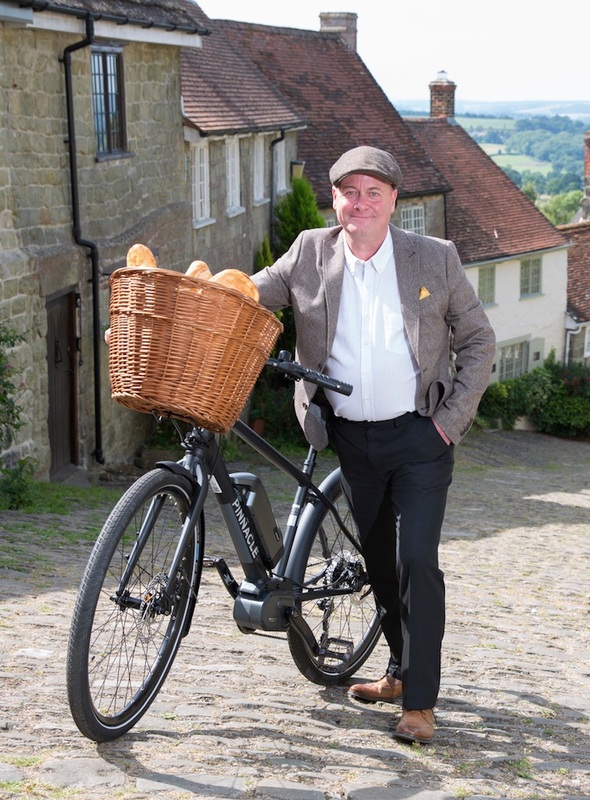 While power-assist on steep climbs is a boon to those getting around in rural England, Evans Cycles are also keen to highlight the benefits of electric bikes to urban dwellers. In moving the backdrop from Dorset to inner city, Evans Cycles commissioned a survey of commuters to highlight the health benefits and cost savings of switching from public transport to e-biking – with non-cycling commuters reportedly “spending an annual average of £1,855” getting to work. Surprisingly few in their survey sample of 2000 UK commuters were aware of electric bikes. Joel Natale of Evans Cycles said:“75 per cent of UK commuters not knowing what an e-bike is shows that it is currently an unknown solution to many people’s commuting problems. Having also found that hectic, overcrowded public transport is a key frustration for at least one in five commuters, this could now be a thing of the past, and with powerful pedal assist, the worry of arriving to a meeting red-faced and sweaty is eliminated. Evans Cycles ambassador, Sir Chris Hoy, adds: “My views have changed on e-bikes… initially I simply couldn’t see the point of e-bikes. I thought if you’re wanting to cycle and get exercise, just use a bike – and if you want to get around with a motor then buy a moped or a motorcycle. “But having actually ridden one, my opinions have changed massively. I think they’re great for people to commute on over distances that might not be able to manage without the electric motor. I think they allow people to go out and enjoy riding their bike with people who might be stronger and faster, as they can keep up with ease. In short, they’re a really nice combination of using your own human power, your own effort and having a little bit of assistance too. I think once you’ve ridden an e-bike, you completely ‘get it’”. 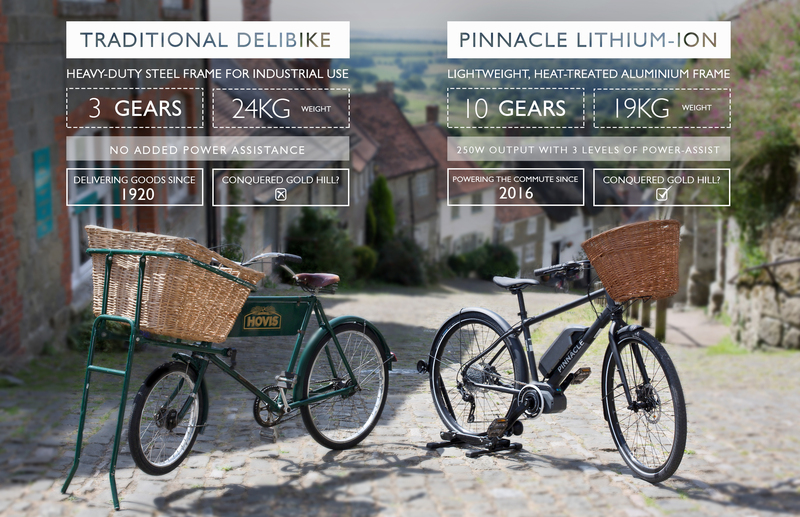 The tale of a £100 second hand electric bike.